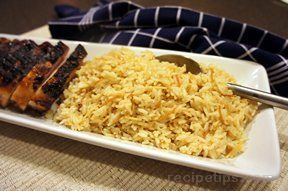 A tasty and healthy rice dish that is seasoned perfectly. This is a great side dish for any meal, especially poultry. SautÃ© vegetables until onions are golden and celery is tender, approximately 20 minutes. 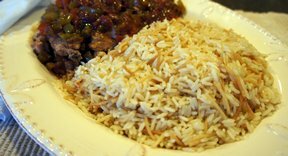 Stir in herbs and uncooked rice. Add broth to rice mixture and bring to a boil. 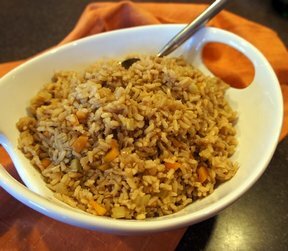 Lower heat, cover and simmer until all the liquid is absorbed and rice is tender, approximately 45 minutes. 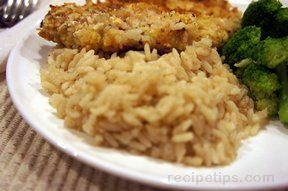 "I liked the idea of this but the seasonings reminded me of Thanksgiving. I will make again, but I think I will just use salt and pepper."